Explore the archaeological ruins of Tulum and Coba as your guide unveils the culture of the ancient Maya civilization. Then visit the Maya village of Esmeralda where you can swim in a beautiful cenote and partake in an authentic indigenous meal. Hotel transport is provided from Riviera Maya hotels. Your day trip begins with hotel pickup in the Riviera Maya, departing in the early morning. Travel with a small group to your first destination. On arrival at Coba, you'll have 2 hours to explore the archaeological site with your guide. Follow on footpaths as you learn about significant structures including temples and ball courts. 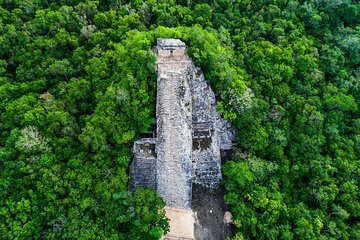 When you reach Nohoch Mul you can climb the 120 steps up the Yucatán Peninsula's tallest pyramid. At the top you're rewarded with sweeping views of the surrounding jungle. Alternatively, rent a bike on-site, payable direct. Your guide also sheds light on the restored ruins of Tulum during a 1.5-hour tour of this ancient city, which was occupied in 1,200 AD. View El Castillo (The Castle), perched on a cliff above the Caribbean Sea, and spend time at the white-sand beach. Then learn from the cultural traditions of the present-day Maya people on a visit to a village called Esmeralda. 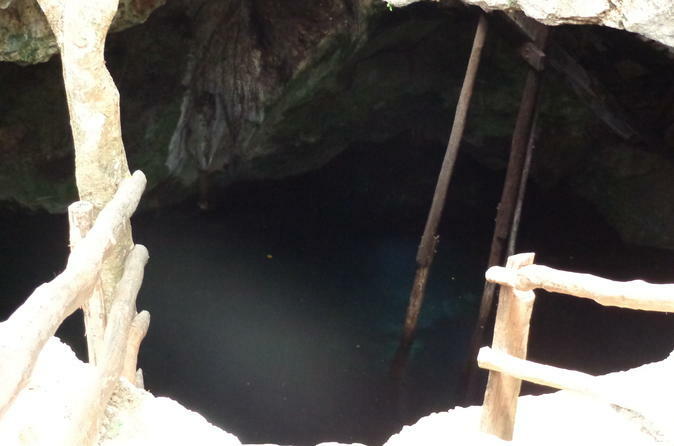 Wander through the agricultural community and walk to the cenote for a refreshing dip in the crystal-clear freshwater of the underground cave. Learn about how ecotourism has evolved here and hear about its social and economic impact. Finally, sit down for an authentic Maya meal including soup, chicken, vegetables, rice, beans and hand-made corn tortillas before your tour ends with hotel drop-off. Note: the order of each tour is determined by that day's logistics.